Artificial Intelligence and Blockchain are rapidly developing technologies which will play a role in the future of almost every industry; the financial industry is no exception. Fintech lies at the core of every country’s economy, and it’s important to not only understand how artificial intelligence will impact the industry but also understand the risks associated with it. While the financial world is eager to figure out ways to use AI’s increasing abilities, they also want to know how Blockchain technology has the ability to change many aspects of the finance industry, as many companies have yet to realise its true potential. We bring to you the AI & Blockchain Fintech Confex on September 27th and 28th, 2018. This conference is intended to assist each attendee in not only sharing their experiences, but also discussing the emerging trends and challenges of Artificial Intelligence and Blockchain bolstered by real world use cases. We are excited to partner with both established banks and technology companies along with newer players in the market, who can bring their different perspectives into our event. This combination of different perspectives will give conference attendees a better overall view of the emerging technologies and their potential. 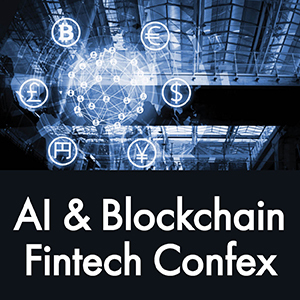 The post PR: AI & Blockchain Fintech Confex will take place in New York on September 27-28 appeared first on Crypto Reporter.